Hank of 18m Builders Line No.3 Twisted Nylon ..
Cotton Builders Chalk Line ¼lb (250gm) No.5. 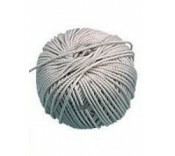 Extra Heavy weight twisted cotton line for use wi..
White Builders Nylon String Line 125m. A high quality twisted nylon builders string line &nb..
White Builders Nylon String Line A high quality twisted nylon builders string line Cons..
Surveyors heavy duty polyethylene road line Waterproof and rot-proof 90m Length ..
Nylon Chalk Line Braided nylon chalk line manufactured from strong twine Perfect for la.. Rapid chalk line 30 metre 113g chalk powder (red) and mini level ..
Solid-forged line pins Suitable for general marking out purposes Pair ..
Lightweight durable aluminium casing with screw-top filler cap. Strong metal claw and folding h..